CJ's Journey has found that in our area there are limited resources for young adults, ages 18-26, battling cancer. We work to assist in their fight against Childhood Cancer with our Journey Support program. This assistance can come in the form of a a special trip, a new laptop, or even bus passes. Often times the young adult's treatment may not allow them to take an extensive trip so we try to assist them in other ways. 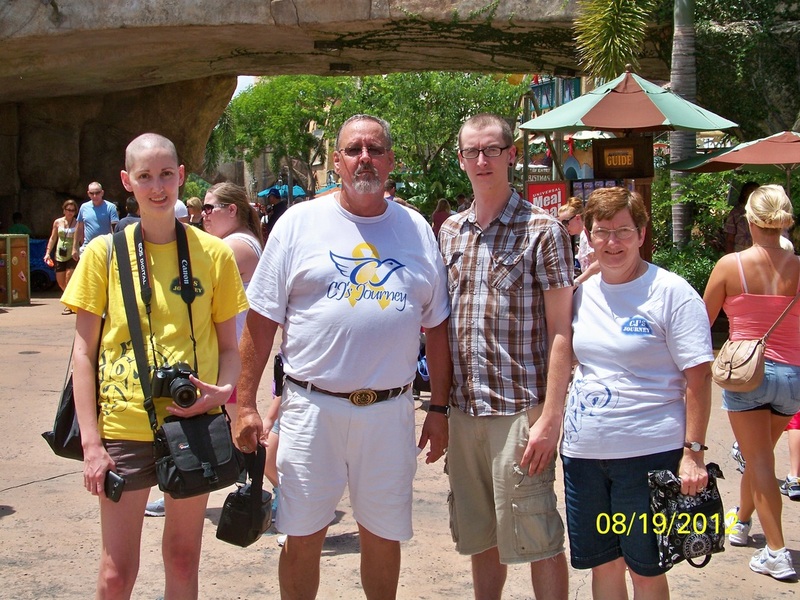 While our Dream Journey Program sends young adults on a once in a lifetime trip our Journey Support Program was developed to make the day-to-day life of living with cancer a little easier. Dream Journeys and Journey Support - The Foundation granted a total of six terminally ill patients with a Dream Journey or Journey Support. In addition CJ’s Journey provided gas cards, grocery certificates and bus passes to patients in need. Specialized wheelchair cushion for a 24 year old single mother; the cushion provides comfort and eases the pressure that sitting all day does to her very fragile body. Her insurance will not cover this specialized cushion. A 26 year old woman received a new prosthesis hand. Her hand was amputated to prevent the cancer from spreading and unfortunately her insurance will only cover hook prosthesis. A new laptop to a 24 year old single mother. She wants to complete her education as she works to become a nurse. A laptop is perfect for the long days sitting while receiving chemo treatment. A 20 year old young man from St. Robert, MO, received season tickets, food passes and a parking pass to Six Flags. This will allow him to take a much needed break with his friends during extensive treatment in St. Louis. A “Rush” trip for a 24 year old young man in the final stages of terminal cancer. Dream Journey’s allow patients and families to spend time together, creating life long memories for their families. 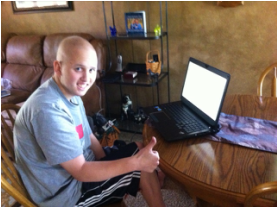 A 19 year old young man battling Osteosarcoma requested and received a new laptop. His new laptop will make those long hospital visits a little more bearable. A young man with Ewings Sarcoma received a new big screen TV. His new TV will help him take him mind of his long recoveries between chemo treatments. *In addition to these recipients many patients receive gas cards, bus passes and gift cards to make their fight a little easier. Lane received our first Dream Journey in 2011. 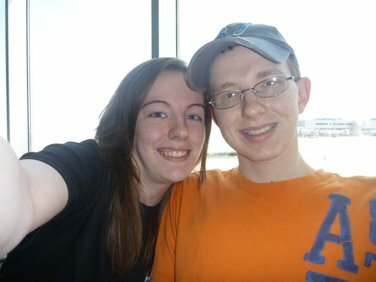 Lane, along with his girlfriend Chelsea, were flown to California to attend the E3 Trade Show. They received exceptional accommodations, were provided with VIP passes to experience the E3 Trade Show, and given additional spending money for food and shopping. Lane’s experience, according to Lane, “Was phenomenal!” For a few days he could forget the emotional and physical stress, cancer was taking on his young 21-year-old body. Amber received a Dream Journey in 2012. Amber, along with her family spent a week in Florida, visiting both Orlando and St. Pete Beach. Spending time at Universal Studios and Islands of Adventure, Discovery Cove to swim with dolphins, Sea World and Busch Gardens before heading to St. Pete Beach. In St. Pete the family enjoyed a relaxing two days on the sandy beaches enjoying the beautiful ocean.